It's Your Turn to Live Debt Free! Are you searching for debt relief in Hagerstown or anywhere else in Maryland? Are you struggling with an overwhelming amount of debt? Are you unsure of the next move to make to ensure your financial stability? When your family is struggling under crushing debt and suffering harassment from creditors, you deserve the powerful advocacy of an experienced bankruptcy firm. The Law Office of David Cahn is committed to providing exceptional guidance to individuals and families searching for a way to overcome their financial issues. We will work with you and your loved ones to thoroughly examine your unique situation in order to determine your options and help you decide upon the best actions for your family. You can trust your bankruptcy, debt, relief, or foreclosure defense case to the loyal and caring legal team at my office. My law firm has been in practice for many years now, and my team has learned the ins and outs of filing a bankruptcy petition. I will not simply just file your bankruptcy petition. I will walk you through every step of the filing process and guide you until the very end. My goal is and will always be the same as yours: to help you regain control of your finances from your creditors and assist you in achieving a debt-free future. Contact my firm today to get started. Having helped dozens of individuals and families through all types of bankruptcy, my law office is the firm you want on your side when you are struggling with a difficult financial time. My team can assess your finances to determine whether you qualify for the relief of Chapter 7, and help you understand which assets are exempt in the liquidation process. If you are not eligible to file Chapter 7, I can explain the benefits of Chapter 13 and lead you with strategic legal counsel through the process from the initial filing to the day you finally achieve your goals. If your company is burdened by heavy debt, my firm can help you pursue the protection of Chapter 11 bankruptcy for your business. I am driven to always find the best possible solution in every case, no matter how much debt you have accumulated over the years. Whether you are wondering if bankruptcy is right for you or you just would like to find more information on the bankruptcy process, I am the bankruptcy lawyer that can give you the answers to all of your frequently asked questions and help you understand which assets are exempt! To find out more information about bankruptcy and how my law office will be the best firm for your case, please call me today! My law firm is one that has been described as dedicated, experienced, and understanding of all different types of cases. I have extensive skills that I can use to your benefit on your bankruptcy case, including the ability to fight on behalf of my clients. My office understands that you are extremely busy, and I have extended office hours and can even meet in your home for a consultation. There is no firm like mine, as I am willing to be flexible around your schedule and will always cater to your needs. 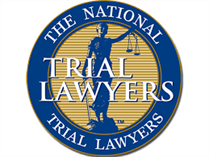 When you come to our law firm, you can even obtain a free bankruptcy consultation. As an experienced Maryland bankruptcy attorney, with three offices statewide, including Silver Spring, I can provide you with information on all of the alternatives to bankruptcy should you believe that this is not the right option for you. You might be more interested in obtaining a loan modification in lieu of bankruptcy or foreclosure, or you might want to take the means test to determine which chapter under the U.S. Bankruptcy Code you are eligible for. Whether you choose to work with the debt liquidation form of bankruptcy (Chapter 7) or the debt-restructuring form (Chapter 13), I am available and ready to help. From issues involving creditor harassment or bankruptcy myths, my law firm is here to walk you through every concern. Mar 30, 2015 Should You File For Bankruptcy?